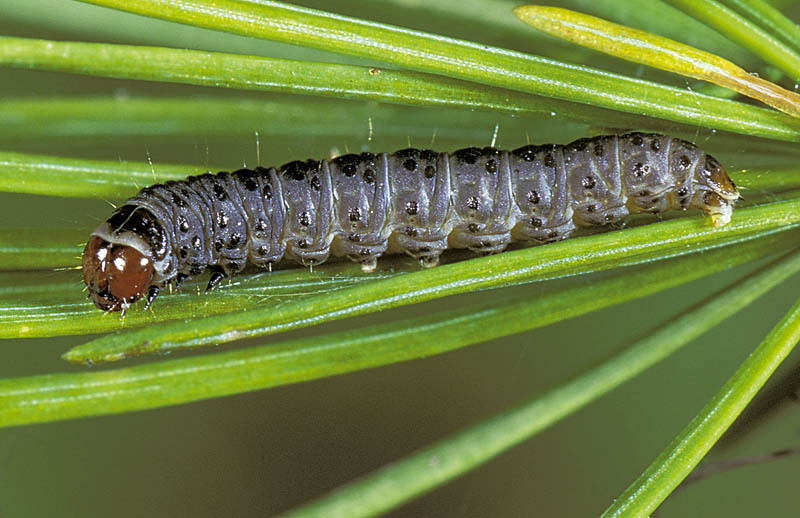 In May and June, tiny caterpillars in needle tubes or bundles of needles webbed together with silk are the earliest signs of the larch bud moth’s presence. 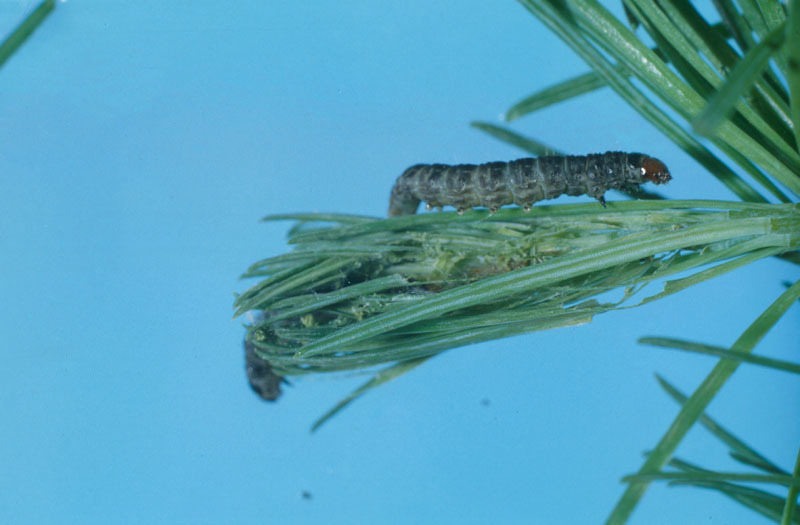 Later in the season, when the larval population is become important, severe defoliation occurs causing the trees to turn red and reducing their growth. However, the damage occurs early enough to allow the trees to produce new needles before winter, although these new needles are shorter than normal ones. 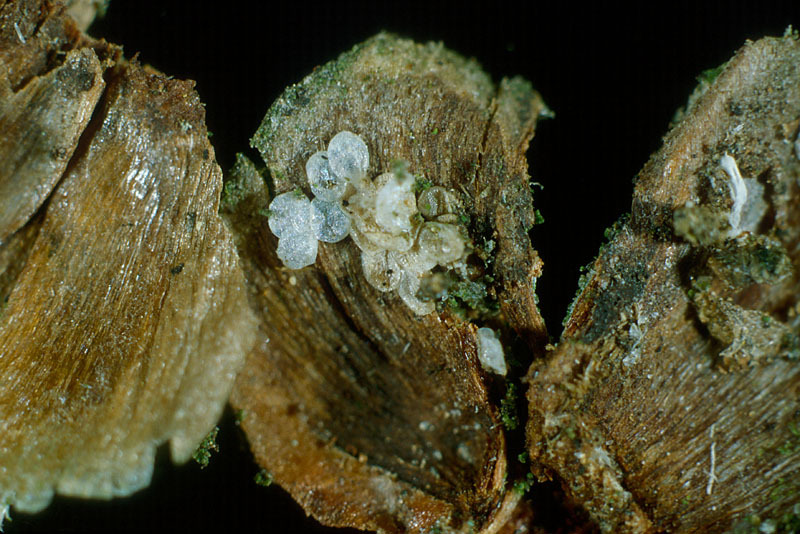 The eggs are laid in clusters and inserted in cones from the current year’s crop. 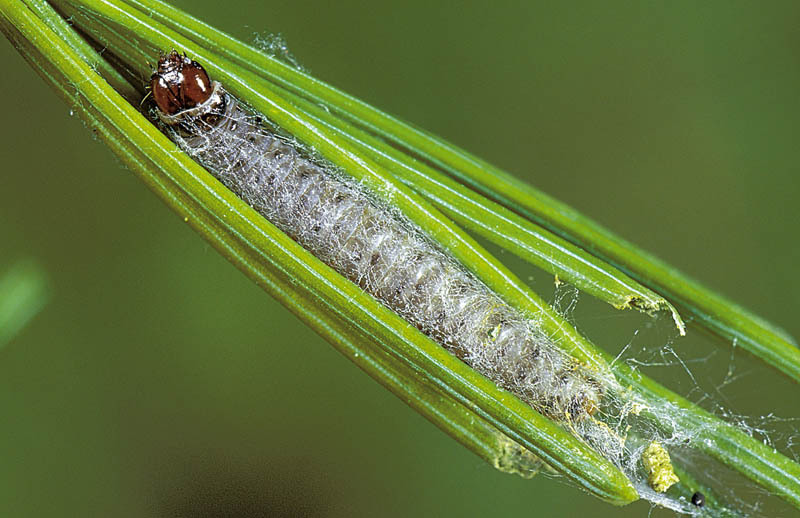 Upon hatching the following spring, the larvae start to feed on bundles of young needles. 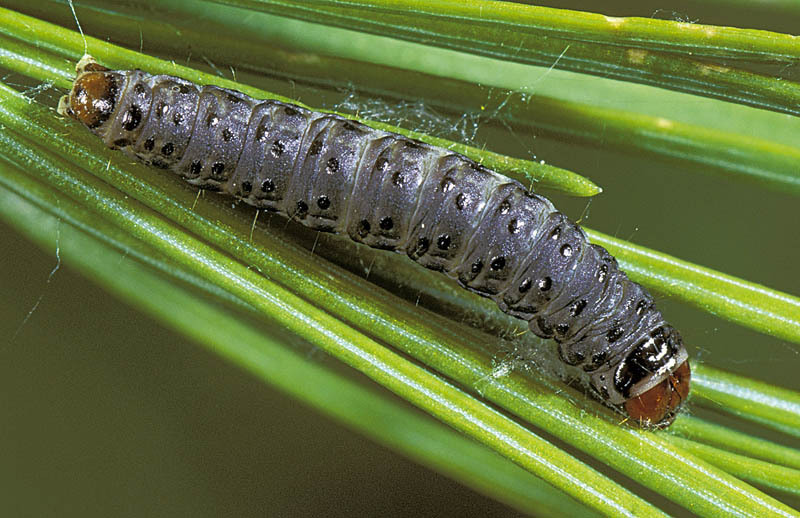 Later, older caterpillars attack longer bundles of needles, wrapping silk around them to form compact tubes. 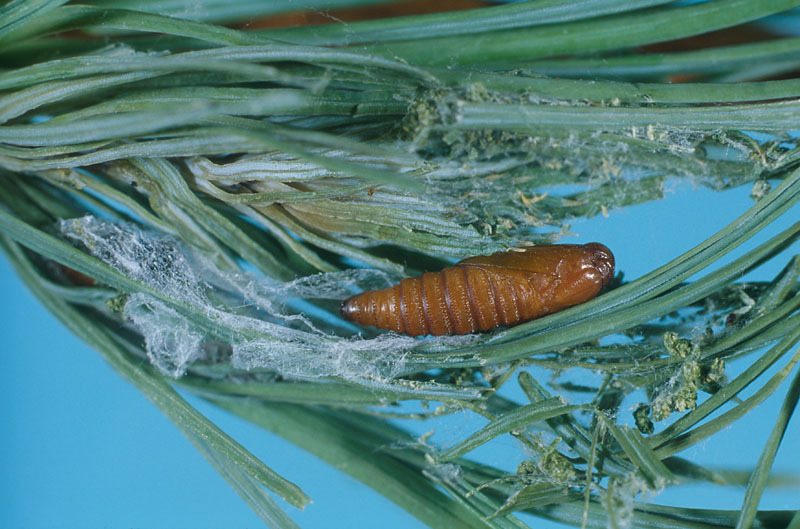 Once their larval development is complete, they fall to the ground and spin a cocoon in the litter, in which they pupate. 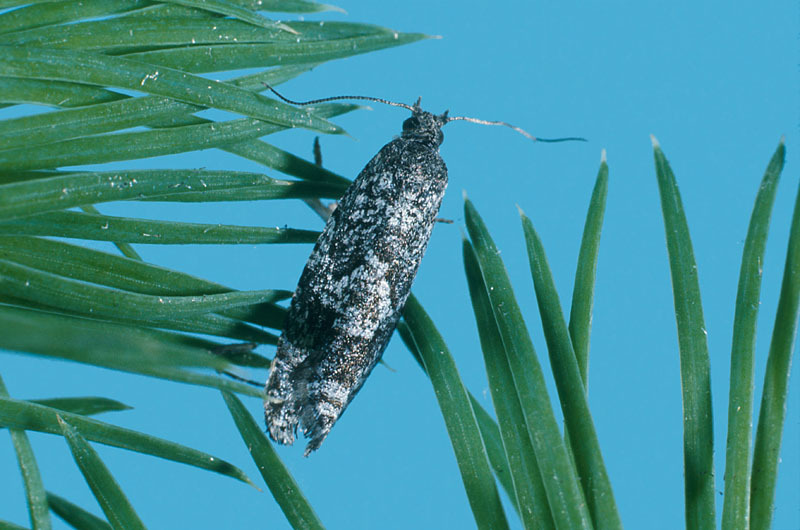 Long confused with the European species Zeiraphera diniana Guenée, the larch bud moth was first reported in Canada in 1937. Although there have been some major outbreaks of this species in the past, outbreaks are usually short-lived and not very extensive. 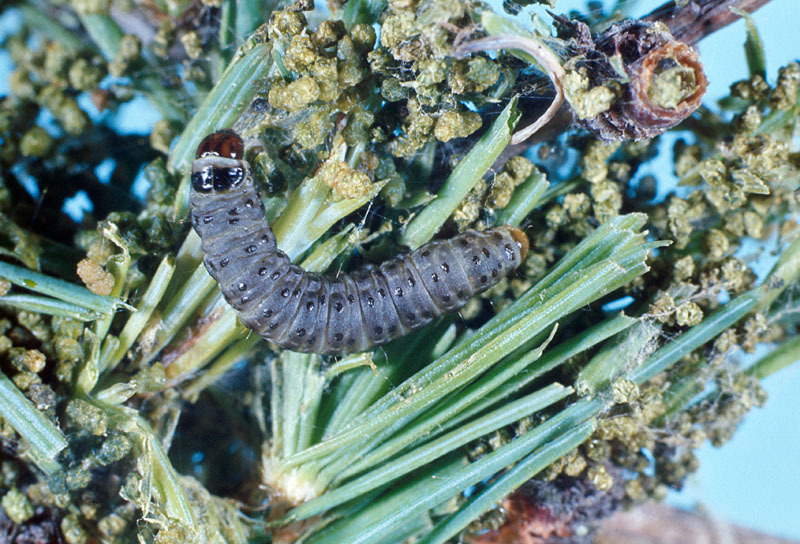 The first recorded infestation occurred in 1965 and affected western larch in British Columbia. 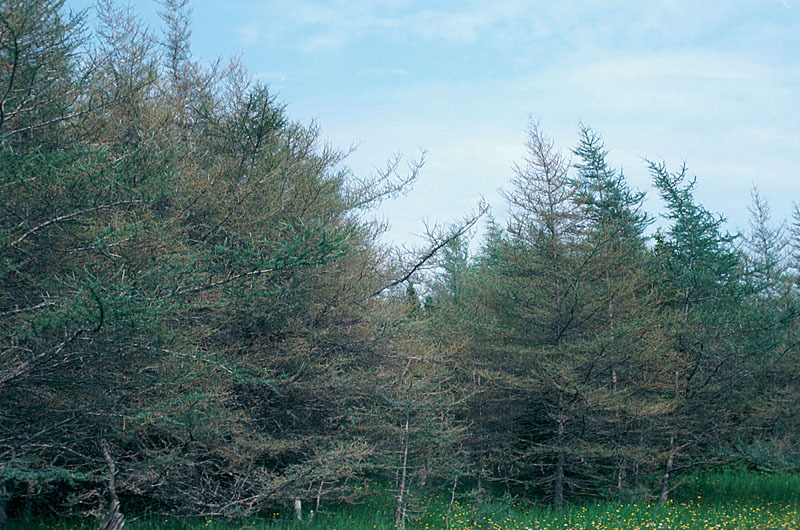 As of the early 1970s, the only outbreaks reported concerned tamarack in Eastern Canada. In 1975, a decline in infestations was noted and then no further problems were reported, except for some isolated pockets of infestation in Ontario and eastern Quebec. 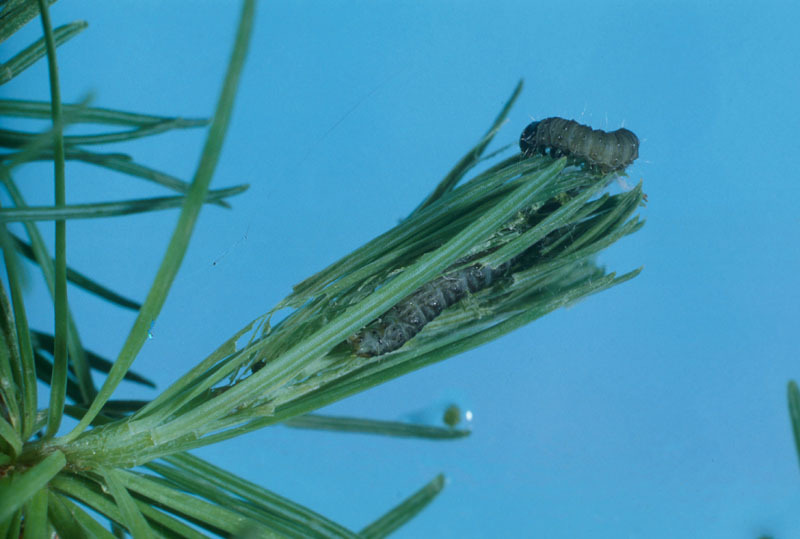 No control measures are required given the small area covered by tamarack stands and the short duration of the infestations. Phyllophagous : Feeds on the leaves of plants. Leaftier: Ties two or more leaves together with silk threads, forming a tube in which to hide and feed.